As part of its ongoing educational efforts to increase the public’s understanding of palliative care, CAPC has released a video animation that defines and explains what palliative care is and how it supports people facing serious illness. The video – among the first of its kind on this subject – compares people facing serious illness to a bridge that needs support. 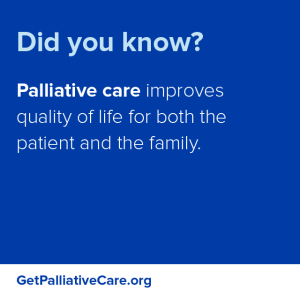 While a serious illness may weaken the foundation, the palliative care team provides that necessary layer of support. In addition to our animated video, CAPC will also be sharing a series of videos and podcasts that spotlight individual palliative care stories (see Debbie’s story below). And finally, we’re rolling out a series of informative icons geared towards educating the public of this growing medical specialty. CAPC will be highlighting these tools on its Facebook and Twitter feeds throughout the coming months. Help us disseminate our videos and icons via social media to ensure our public awareness campaign gets maximum reach and attention! Major funding for this campaign has been provided by the Cambia Health Foundation.